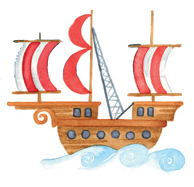 Product code: BB03 Category: Greetings Cards & Stationery. Measuring 15 x 15cm, printed on a quality board, the card is individually wrapped and is supplied with a matching coloured envelope. 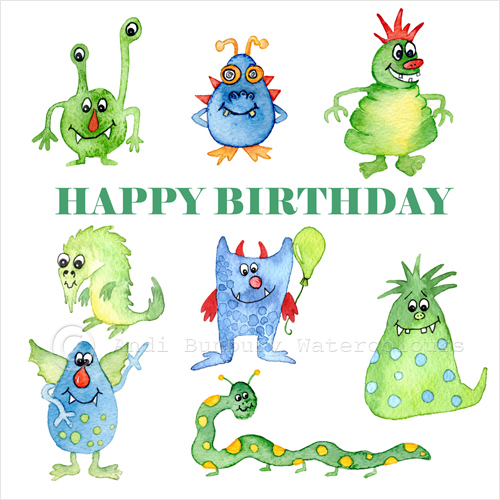 Tags: children's greetings card, monsters birthday card. There are a few important things to keep in mind when returning a product you purchased. Unless damaged, if the product is unwanted due to the customer's change of mind, then any return would be at the customer's expense. If you like my artwork and stationery, keep up to date with new products, designs and where I'm exhibiting by signing up to my mailing list now and liking my Facebook page. Complete the online form to contact me or give me a call on 020 8696 0268 to order artwork. Stationery products can be ordered via the shopping basket facility. I've received many overseas orders for artwork and will happily arrange for postage overseas on behalf of clients.